The executive producer on Mass Effect 3 over at BioWare said that the team has made many combat improvements for this iteration. The first Mass Effect was an RPG with shooter elements while the combat gameplay shifted closer to a pure shooter with the sequel. In the cover story of this month's Game Informer, executive producer Casey Hudson at BioWare said that the response that the sequel earned from consumers and critics alike means the shift was a success. But now with the third game, Hudson said that the team has made further tweaks to bring the combat in line with the best shooters of this generation. 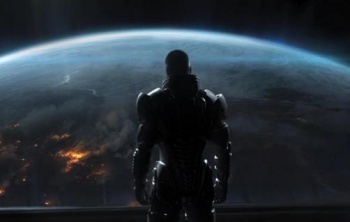 Hudson pointed to improved cover mechanics, more aggressive AI enemies, and ladders providing access to multi-leveled areas as clear indicators that the combat will play better in ME3. He's especially proud of the AI tweaks that make each enemy act differently. "They have very specific roles on the battlefield, and those roles - like chess pieces - work together a lot better because they have unique tactics," he explained. All of that adds up to game that might give Call of Duty or Bulletstorm a run for their money. "We realized that because we have shooter combat, we inevitably will be compared with the best shooters in the world. So we have to get to that level," Hudson said. "Now, with Mass Effect 3, we're able to complete that evolution with improvements across the board."